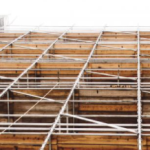 As per 3314.4.5.4 of the 2014 NYC Construction Codes, this 8-Hour Suspended Scaffold User Refresher - Spanish course is required every four years by the New York City Department of Buildings (DOB) to use or work on suspended scaffolds in New York City. Successful completion of this 8-hour refresher course is a requirement for any individual who installs, adjusts, repairs, maintains, uses, inspects or removes suspended scaffold and has completed the 16-Hour suspended scaffold user and refresher training course OR who possesses a valid challenge examination certificate issued prior to January 1, 2014, beginning from the enactment of this code on January 1, 2015. During this 8-hour course, students will be guided through a review of OSHA and DOB policies, procedures, and suspended scaffold standards with a special emphasis on recognition and prevention of hazardous conditions. Additional topics will include review of suspended scaffold equipment procedures and methods of assembly/disassembly. Students will also participate in hands-on exercises in which they will be responsible for presenting, building, and using various scaffolding and rigging applications. Upon successful completion of the course, participants will receive an 8-hour suspended scaffold user refresher course completion picture ID card that will be valid for 4 years.